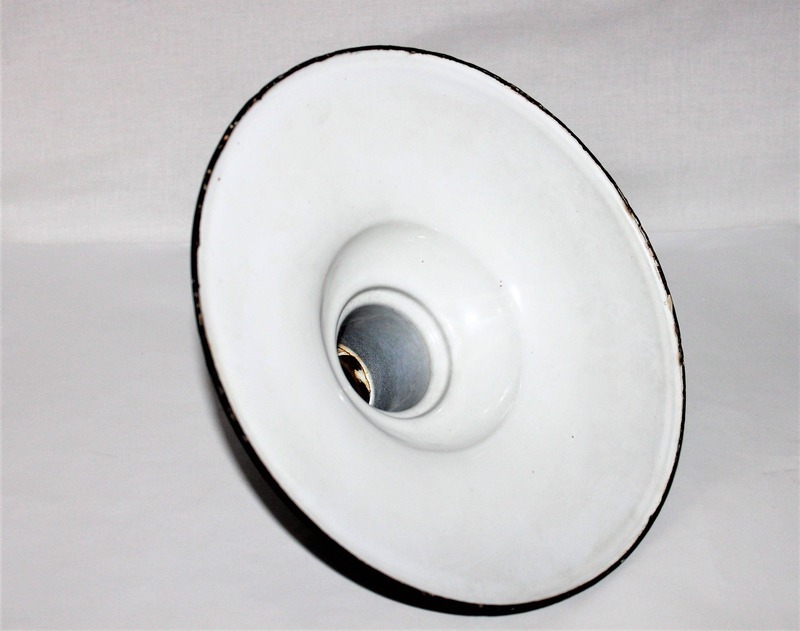 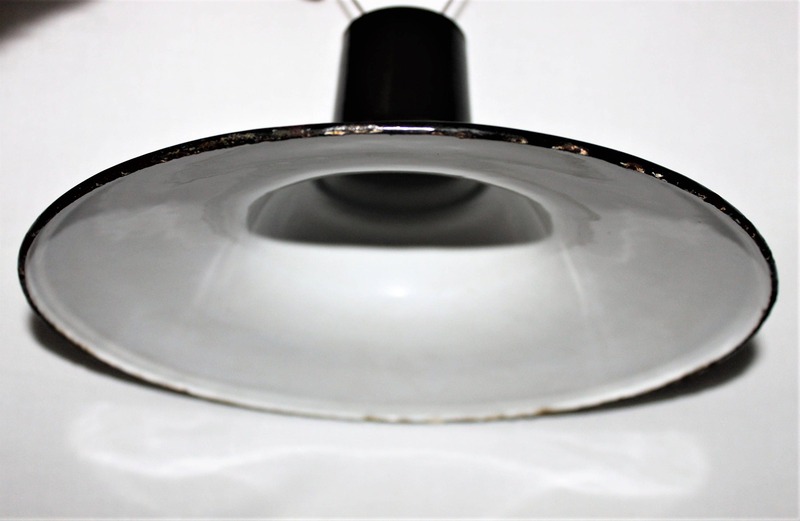 We have for sale a Vintage Porcelain Painted Industrial Warehouse Light Shade. 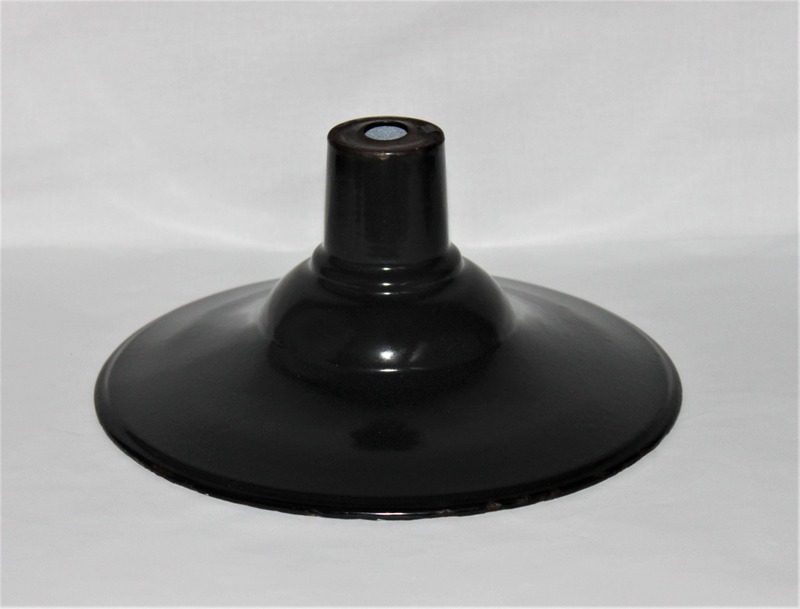 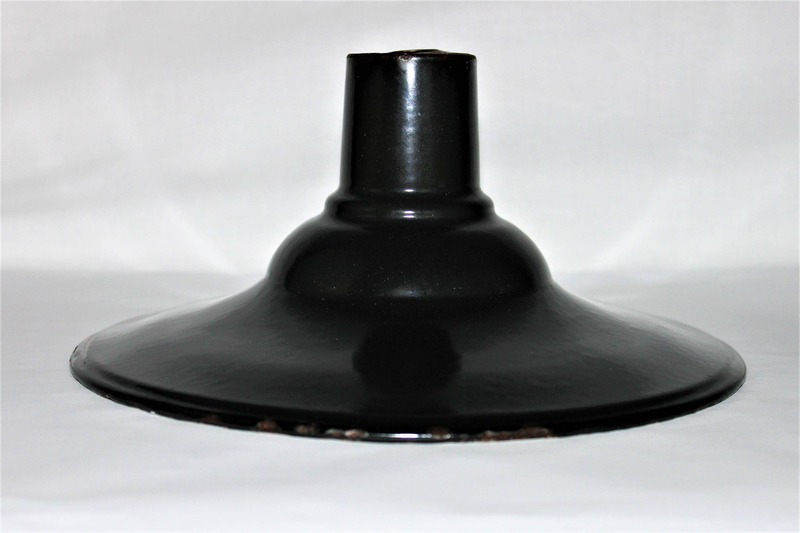 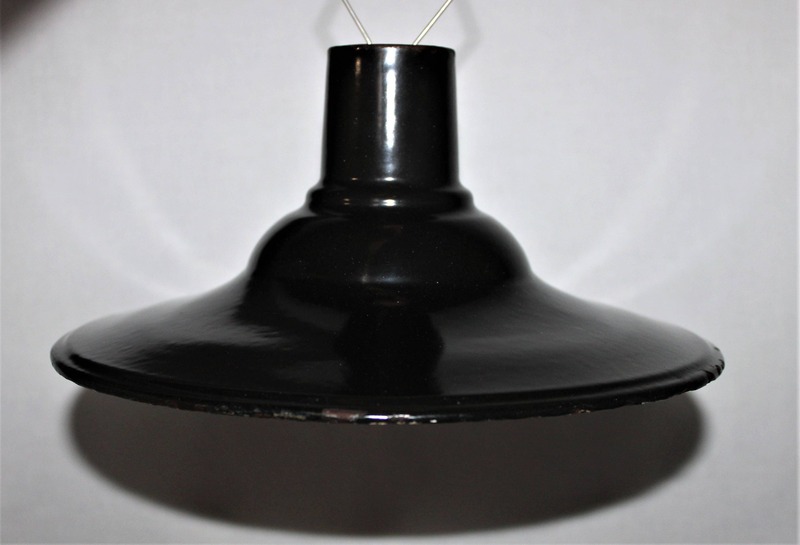 This is perfect for repurposing this industrial warehouse light shade is steel with black porcelain paint outside and white porcelain paint inside. 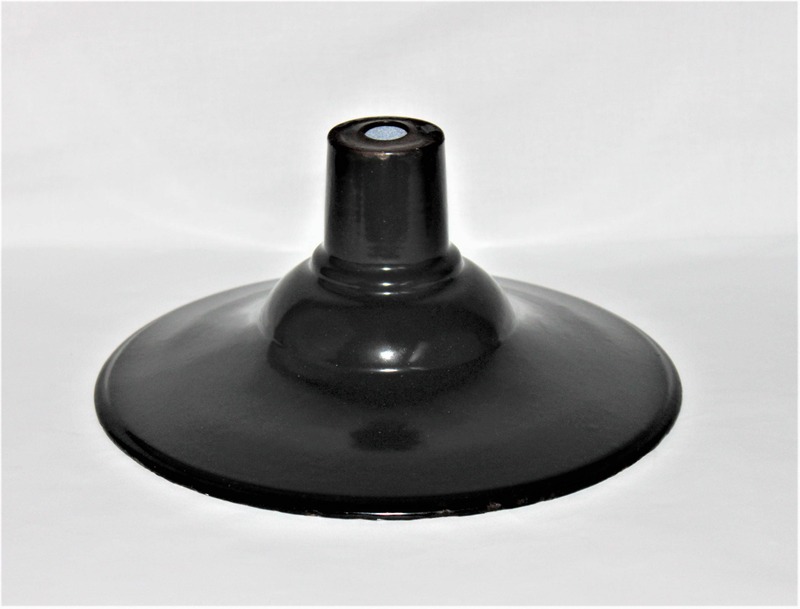 Measures 10 ½” diameter and 5” tall, just add your fixture and cord and you have an awesome industrial light perfect for any room.